William Edward Deming was an American statistician who was a leading figure in the quality revolution in Japan after World War 2. In the 1950’s Deming said that business processes should be analysed and measured. By doing this, business could identify sources of variations which caused deviations in product quality. He recommended that business processes should follow a continuous feedback loop so managers could identify and correct parts of the process that needed improvement. We call this process the PDCA cycle: Plan, Do Check, Act. It turns out that this process works well in education. While there is a common syllabus, there are huge levels of variation in what happens in the classroom leading to variation in outcomes. The GELnet helps to manage this. Academic Managers set the syllabus and targeted course aims. Teachers plan their week by selecting aims to cover, choosing from pre-matched content, lesson suggestions, or creating their own. Students get a weekly plan with links to online practise and notes on what they will be doing in class. Teachers assign work and make notes on lessons – which they can share with other teachers. Students follow their weekly plan and do their online work. Students take tests or complete tutorials and see their results and progress. Teachers monitor progress of students and classes by aim. Academic Managers keep track of class progress against the syllabus. Students get targeted online practice based on the test questions they miss or tutorial feedback from their teacher. Teachers adapt their weekly plans based on class needs. Academic Managers assess class methods based on results, compare with others and share best practices. 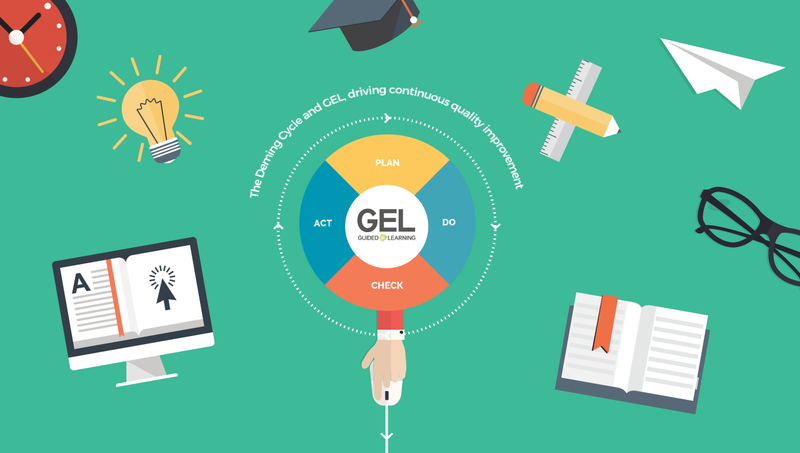 From start to finish with GELnet, school staff and students can monitor progress, assess methods, collect results and continuously improve the learning process as they move through a course.